"This is a significant milestone for Scotland the Hydro Nation, as well as a personal achievement for Christopher"
Christopher Schulz, a PhD candidate in Geography at the University of Edinburgh, the James Hutton Institute (Aberdeen) and Scotland’s Rural College (SRUC), Edinburgh, recently became the first scholar of the Hydro Nation Scholars Programme to finish his studies. The Hydro Nation Scholars Programme is a key element of Scotland’s drive to become a Hydro Nation, meaning one that manages its water environment to the best advantage, using its knowledge and expertise at home and internationally. 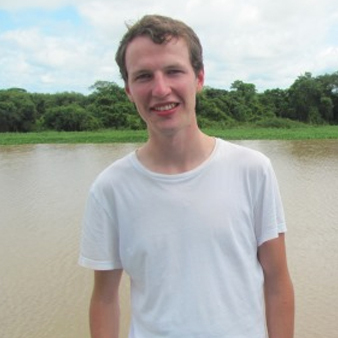 Christopher’s work aims at identifying multiple dimensions of water values and their connection to water governance in the Brazilian Cuiabá River Basin and in the Pantanal wetland, engaging a wide variety of stakeholders from the local water sector in his research. He holds an MSc (distinction) in Environment and Development from the University of Edinburgh, as well as a B.A. in Politics and Public Administration from the University of Konstanz. Barry Greig, Hydro Nation Manager for the Scottish Government, said: “This is a significant milestone for Scotland the Hydro Nation, as well as a personal achievement for Christopher, and underlines our commitment to develop research excellence and make a contribution to key global water issues. The Hydro Nation Scholars Programme is funded by the Scottish Government, as well as managed by the Centre of Expertise for Waters (CREW) and supported by the James Hutton Institute.